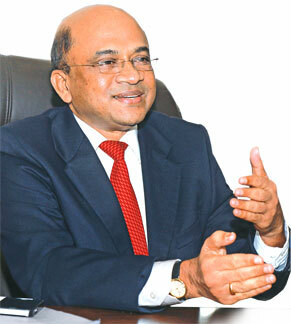 Good Governance activist, Chandra Jayaratne has urged the president and the Council Members of the Institute of Chartered Accountants of Sri Lanka to safeguard the independence, integrity and professional position of the Auditor General. I write this appeal to you, this day our nation celebrates its 69th Anniversary of Independence, under the governance of a regime committed to Yahapalanaya (Good Governance). My appeal arises from the public criticism, by some leaders in governance, of the Auditor General, challenging the integrity, independence, professionalism, and unbiased judgment of the holder of the office of the Auditor General. Such public criticism and associated pressure, challenges and may even have the effect of attempting to influence the independence and professionalism of the holder of the office of the Auditor General. I am sure you realize that the position of the Auditor General, is the most prestigious and responsible office a member of the Institute can hold, being empowered for such appointment by the qualification as a professionally qualified member of the Institute. The present holder of the office is a member of the Institute and in addition highly qualified in several other areas, including economics. “The Auditor General through the Auditor General’s Department provides an independent review of the performance and accountability of the public sector institutions and reports to Parliament. The Auditor General’s Department aims to meet the needs and expectations of the Parliament, the executive and its clients and to add value to public sector performance and accountability. This independent review is thus performed to ensure the propriety, regularity and compliance with all the statutory and other regulatory requirements and the economy, efficiency and effectiveness of the operations. I am sure you recognize that as a part of the accountability of the Institute, you are duty bound to uphold and protect the integrity, independence, and professionalism of the Institute and its members; and in an extended and stretched accountability, you are duty bound in the interest of the nation and its people, to protect the integrity, independence, professionalism, and unbiased judgment of the holder of the office of the Auditor General. This accountability must be discharged from an apolitical professional stand point, in the same manner as the advocacy and challenge the Institute recently had to adopt, to safeguard the professionalism, capability (knowledge/skills/attitudes and values), integrity and independence of professionals empowered by statute to undertake public audits in Sri Lanka. 2. The Prime Minister, in his capacity as the leader of the political party whose members appear, as reported in the media, to possibly be associated with the pressure, criticism and influence exerted on the Auditor General, requesting him to advise such members, to immediately refrain from such deplorable conduct not in keeping with upholding the rule of law and good governance commitments. 4. 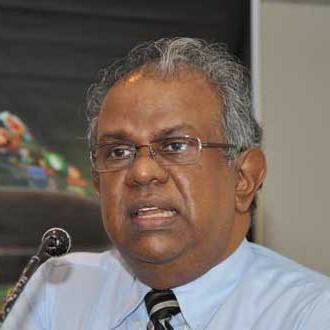 Information Commission, to express an opinion whether the Auditor General, by purportedly, uploading on a website, at the time of release of any audit and other reports, would be inconsistent with the commitments expected from the Auditor General in terms of the entrenched provisions of the Constitution relating to Right to Information and also in the wider context of the Objectives of the Right to Information Law applicable with effect from today. I trust that this appeal will receive your immediate attention and affirmative action. Unfortunately we Sri Lankans live in a bygone era. We do not want to listen to alternate opinion and consider them as disrespectful. The politicians most of whom are uneducated are the biggest culprits. Even the educated consider public servants should be ‘yes’ men. Most public servants who do not agree with politicians are sacked, demoted or transfered. Allowing and considering alternative opinion is the foundation of a healthy society and there lies the primary cause for lack of development of our country. It is not the Addressee who should take note of the content of this letter dated February 04, 2017 – (Historic Day of 69th Independence)but the persons who have been in “CC” list. However, I too appeal to the Institute of Chartered Accountants of Sri Lanka to stand FIRM and safeguard your CREDENTIALS and not allow the “Invisible Hands” of Law Enforcement to subjugate your Authority on the relevant Professional field. I caution you, because this “Infringement” has already been imposed on another such Authority that deals with our very survival to be free and cured from diseases. In relevance to that mater, one High Powered Cabinet Minister has in public QUESTIONED the “Authority” of that Institution and even had THREATENED to “Dissolve” it. So coming colors are no good. Just to remind you a Sinhala saying that my Jemis maama tells me all the time; “Labbata Thiyapu Atha Thami Puhulatath Thiyane”. You can ask so many things. But, it is the same old boys club governing the country and they change it every few years. SLFP and UNP should be eliminated and replace with completely a new group of politicians. It needs a hugh change. Why can’t you go to courts and prove your case? it is not the President, not the Finance Minister but the parliament that has full control over the public Finance(Art 148 of the Constitution) really effective. Auditor General is the custodian, let him be independentbeyond any political interference. The Department of the AUditor General is an INDEPENDENT body that is ultimately answerable to the people of this country. This Department should never be answerable to any Ministry. The Auditor General is the watch dog of the people and should ensure corrupt, shady, illegal, day light robbery of people`s money is not committed by the den of thieves, top to bottom, who get elected to rule this country from time to time. This Department should have the same freedom as our courts are supposed to have, but sadly most of the judges in our judiciary are mere parrots who rattle out the verdict of the thugs written for them. I applaud the current AG for his stance, his bi partisan approach and trying inspite of all odds to keep his Department neutral and objective to its calling. He is a national Treasure. We the public need to protect him………………. “He is a national Treasure. Every citizen must raise their concern about the abuse of their legislative and executive power by utterly corrupt politicians who exercised people’s powers completely on trust. It is the duty of every citizen to protect and defend public officers like the present Auditor General, who understands the importance of performing the public office only for public good and not to please cheats. Since 2015 January Democracy has been buried by UNP led alliance and compromised governances of MS and CBK leadership. Only way to regain democracy norms and the rule of law that you have to shifted power for the Democratic form of govt. Otherwise right to vote for the citizens that book of democracy will closed for ever by UNP leadership of Ranil W.. very soon! UNP on the way new Dicthorship Rule,while abandoned majority rule and their voice . There are lot of professionals have cropped up in the political arena. Were they not living in Srilanka in the period before 2 years. Some one said A G is the watch DOG.Where was this dog two years ago. Auditor General is not a Watch Dog but a Real Dog fathered by JVP. There was another JVP Real Dog in AG department who was Mayadunne who ran under JVP ticket. This bugger too is sure to run at the next election under JVP ticket. The bugger has admitted at COPE that he is not fully conversant with bond matters. And while even when asked a relevant international body has said they did not know of the existence of any international best practices when issuing bonds and that rates and gauges depended on the ground realities that existed at the time of issuing bonds this AG clown fucker tries to establish benchmarks where even the world body claims impossible. The hilarious part is that his fucker is deaf and dumb about all the stratospheric robberies at every point in the country and especially at the Central Bank when Mahindaya was plundering this country. It seems all these thieves are trying to hide their thefts by creating a bogus bond story which the padaththara media rags who have eaten Maras Jarawa happily propagate for the consumption of the gullible fools in the country.